Data Portal is currently under construction. 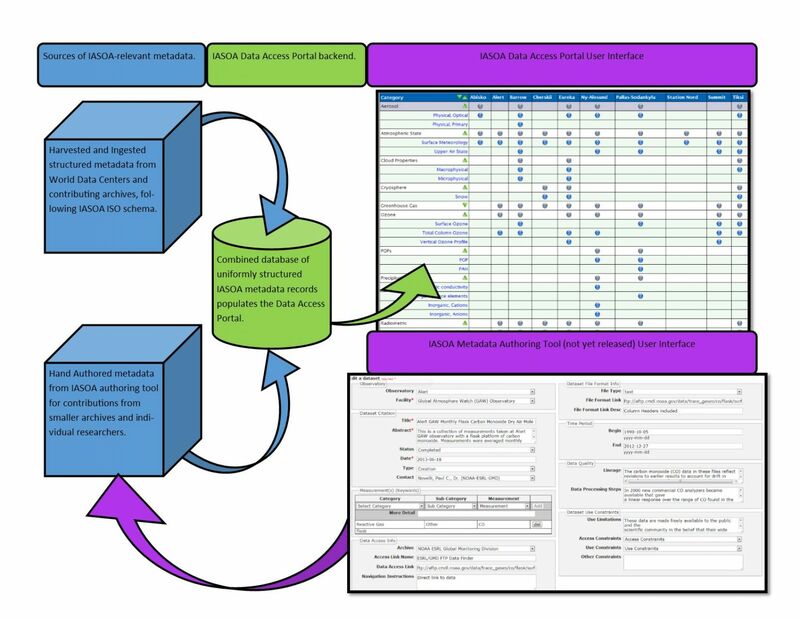 IASOA has implemented the ISO-19115-2 metadata standard, which follows the template below and this schema tree, to automatically harvest data. Our objective is to be as non-duplicating as possible. It is always our first choice to work with archives to translate their existing metadata into our ISO-19115-2 schema. Please contact taneil.uttal@noaa.gov or sara.morris@noaa.gov for more information.